Western Canada Fire & First Aid’s 8-hour standard first aid recertification course is applicable to people with a current (within the last 3 years) standard first aid certificate. This course is designed to review the participant’s first aid practical abilities and update new skills. CPR level C and AED training is included in this course. In addition to completing all required skill and scenario testing, students must obtain a 70% pass rating on a 50 question multiple-choice examination. Successful candidates will receive a certificate recognized by Alberta Human Resources and Employment, Workplace Health and Safety that is valid for 3 years (Note: Western Canada Fire & First Aid Inc. appears on page 6 of the List of Approved Courses). 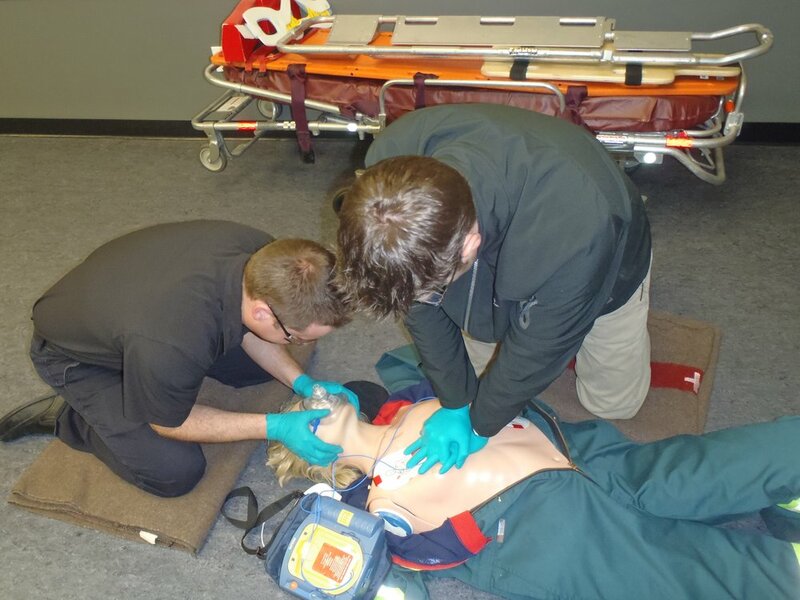 Standard First Aid Re-certification courses are held at Western Canada Fire & First Aid’s training facility in Edmonton, Alberta or onsite at your location for a minimum number of students. This program is designed for those individuals who live or work in areas where the availability of Emergency Medical Services may be delayed. All registrants will be required to present proof of a current Standard First Aid certification (within the last 3 years). If your certificate is expired, please visit our Standard First Aid web page to learn more about the full course. For more information on government regulations pertaining to first aid certifications on the work site, please visit Province of Alberta – OHS Code Explanation Guide – Part 11 First Aid. First aid training is a great skill set that can be applied in various situations – at work and at home.